It can be hard to decide where to go and what to see on your Gap Year, the opportunities and options are endless and you want to make sure that you get the most out of your year out. We understand, so each week we will be talking you through a different program in our Destination Focus series on our blog. 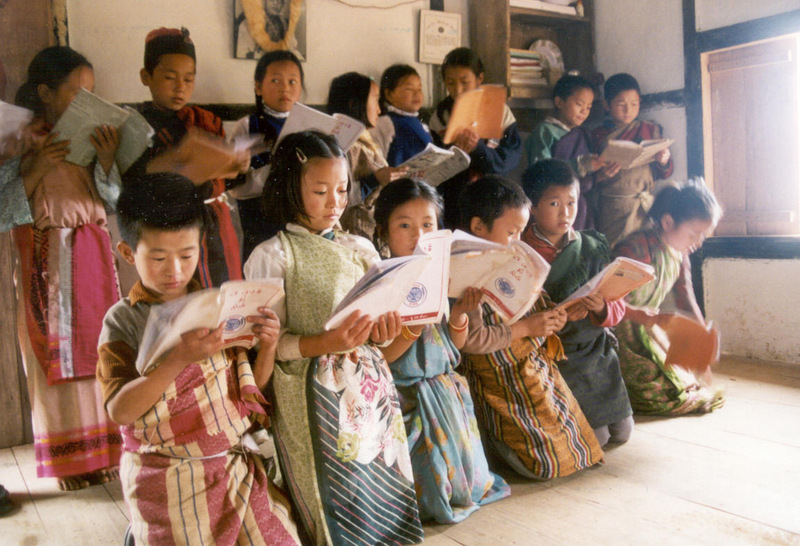 This week the focus is on India and the Lepchas. At Africa & Asia Venture, we believe in a full immersion Gap Year where you experience life not as a tourist, but as a local. Living, working and making friends in a rural community in some of the most beautiful parts of the world. 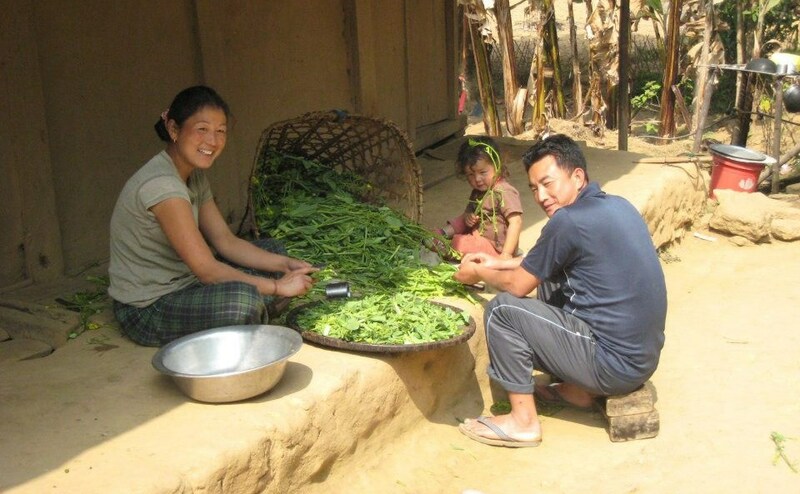 Our India program invites you to spend time off the beaten track with the Lepcha people in the foothills of the Himalayas. They are an indigenous people who still maintain a traditional way of life with many festivals that you will be able to enjoy during your time there. Primarily your role will be to teach English to young children at one of the village schools and at night schools to help improve the prospects of the young people that cannot afford to attend one of the fee paying schools in the area. You can make a real and significant difference to the lives of these children, many of whom are already working on their families farms and other businesses and who have little opportunity to learn from any other academic source. 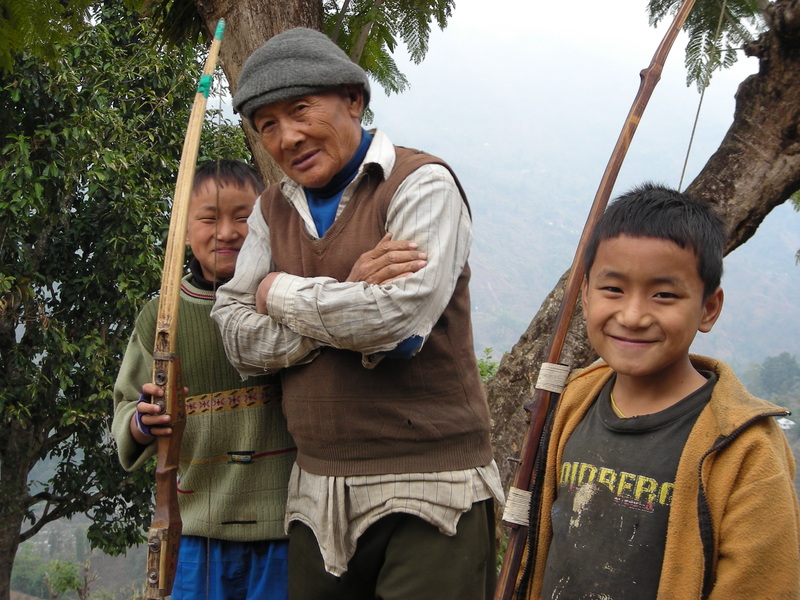 Living and eating with a Lepcha family gave me the best insight into the culture and life of the Lepchas. 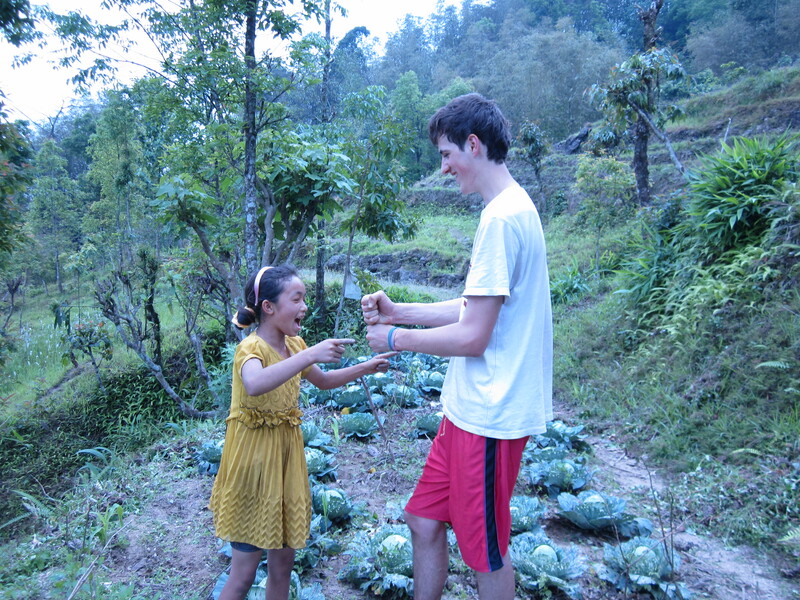 Staying there for three months meant that I could truly immerse myself in the culture, seeing how they worked in the fields, planting and cultivating ginger and cardamom helped by the children who had several hours work before and after school. I also ate with the family in their delightful kitchen, on little stools crowded round the clay oven. The food was delicious and I would never have guessed that after eating rice once or twice a day for 3 months it would still taste so good! The whole experience was set to the backdrop of stunning scenery with the houses nestled into the terraced hills. When the mist cleared you could look one way and see the plains hundreds of miles away, stretching out into the horizon and the other way the snowy peaks of the Himalayas. The small village of Pakang in the foothills of the Himalayas I now view as a second home and the people cared for me as if I was one of the family. My only regret was not being able to stay longer. 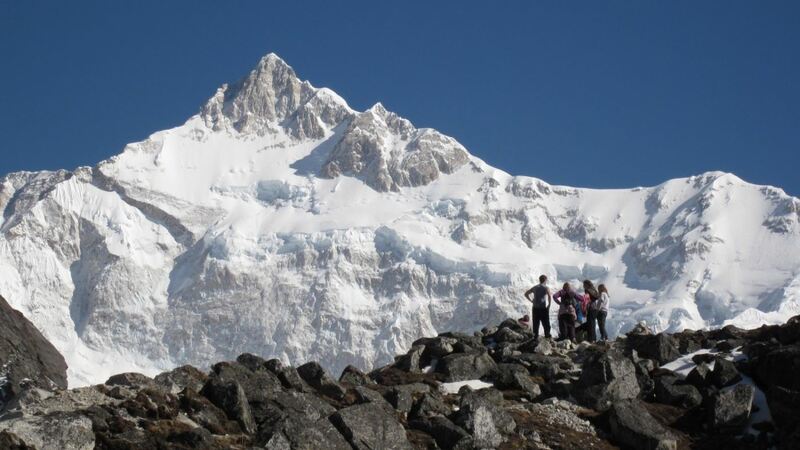 The trip did not end there, and AV helped organise a trek in Sikkim, complete with yaks to take our luggage, cooks who kept us well fed and breathtaking panoramic views of the Himalayas and Kanchenjunga. We then had time for our own free travel and I went to Nepal with my brother. Once we left the tourist trap of Kathmandu, we had a wonderful time seeing rhinos, monkeys, deer, elephants and crocodiles at Chitwan National Park. Away from the cities, with the persistent locals attempting to get as much money from tourists as they possibly can, the Nepalese were extremely welcoming and friendly. When staying in a hostel in the little village of Kagbeni, we were invited in to have dinner in the kitchen and ate with the hosts who cooked a delicious dinner for us. My brother and I took a jeep back down the extremely bumpy mountain track from Kagbeni. My brother shared the roof with 15 locals, whilst I was in the back with 7 others and 2 chickens! Despite language barriers, we managed to communicate and they shared their food with us and showed us tatopani (meaning hot water), a hot natural spring. Gap Years have received some bad press in recent years, with the view that these projects do not make a positive difference to the communities. But I could see firsthand the difference that these projects can make. The money has helped build classrooms, fix roofs and buy teaching materials. The work done has helped to build bridges and improve water supplies. Most importantly the teaching has helped the children with their English, confidence and shown some children that they should not be too scared to make mistakes. For the gap year students the difference can be even greater, giving an insight into a different culture. A direct recognition that many people are far poorer than ourselves in monetary terms and yet still live a rich life with a smile, a sense of humour, a wonderful community spirit and enormous generosity and kindness. Our next departure for India and the Lepchas leaves on 11th February 2019 and if you book before 30th September you can take advantage of our 25th birthday celebration offer. We are giving you £250/$250 towards the cost of your Gap Year flights if you book to travel to India and the Lepchas with us. You can choose to go for between 5 and 16 weeks depending on your plans and we offer 24/7 in-country support if you decide to travel around India after your volunteering placement.